The content aware (CA) packet classification and processing at network level is a new approach leading to significant increase of delivery quality of the multimedia traffic in Internet. 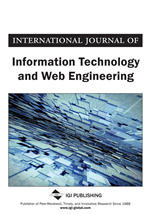 This paper presents a solution for a new multi-dimensional packet classifier of an edge router, based on content - related new fields embedded in the data packets. The technique is applicable to content aware networks. The classification algorithm is using three new packet fields named Virtual Content Aware Network (VCAN), Service Type (STYPE), and U (unicast/multicast) which are part of the Content Awareness Transport Information (CATI) header. A CATI header is inserted into the transmitted data packets at the Service/Content Provider server side, in accordance with the media service definition, and enables the content awareness features at a new overlay Content Aware Network layer. The functionality of the CATI header within the classification process is then analyzed. Two possibilities are considered: the adaptation of the Lucent Bit vector algorithm and, respectively, of the tuple space search, in order to respond to the suggested multi-fields classifier. The results are very promising and they prove that theoretical model of inserting new packet fields for content aware classification can be implemented and can work in a real time classifier. THE current trend in network management is to add more intelligence toward the edges of the network infrastructure, while at the core is to continue providing fast switching and forwarding. The aim is to sustain the incremental speed and availability demands within the communication networks. The appearance of new protocols and applications illustrates that the data carried by future networks will be generated by a large number of non-standardized applications. Even if the current Internet is a great success in terms of connecting people and communities, it was designed 40 years ago for purposes quite unlike today’s heterogeneous application needs and user expectations. The high increase of the hardware capabilities — both in terms of CPU power and memory availability — is an enabling factor in designing network equipment capable of identifying the content transferred within the packet and applying specific routing policies. At the same time, multimedia content is anticipated to be increased by at least a factor of 6 before the beginning of 2012, rising to more than 990 Exabytes, mainly fueled by the users themselves (Media Delivery Platforms Cluster, 2008). In order to cope with this versatile content and services, future network equipments should become content-aware. This capability will offer more possibilities to the network management entities in order to efficiently manage the network and to provide flexible and dynamic traffic handling and QoS assurance functions (Vorniotakis, Xilouris, Gardikis, Zotos, Kourtis, & Pallis, 2011). The packet classification issue is very important because it offers a way to differentiate the packets as they traverse different networks and also because many different services can be provided through packet classification. Given the above mentioned considerations, this paper describes a new solution for classifying the data packets by taking into consideration not only the common fields, but also the content aware features. Link speed: As physical links are getting faster, the need for efficient classification algorithms is greater than ever. This requirement translates into making a classification decision for an arbitrary packet during the time allocated for handling a minimum-sized packet (Internet traffic measurements (Thompson, Miller, & Wilder, 1997) show that approximate 50% of the packets that arrive at a router are TCP-acknowledgment packets, which are typically 40-byte packets). This issue is much more severe for very high speed links. For example, at OC-768 rates (i.e., 40 Gbps) with a minimum packet size of 40 bytes, we need to handle 125 million packets per sec. Because the memory access time is expensive and represents the true bottleneck in a real system, dictating thus the worst-case scenario, the link’s speed is usually measured in terms of the number of memory accesses that are required to accomplish a packet transfer.